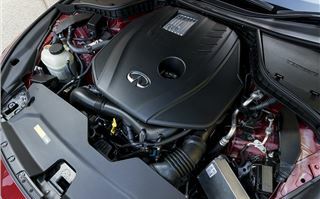 Infiniti is hardly making an impact in the UK. 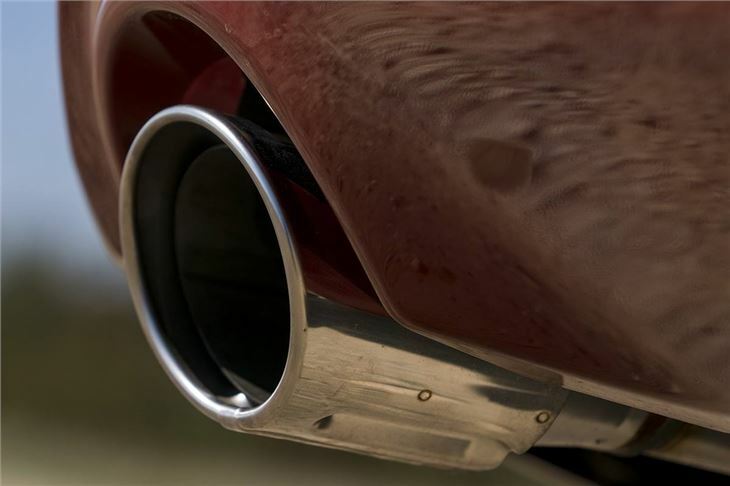 Buyers either don’t realise the brand exists or they're not tempted - after all, there are plenty of BMW and Audi models to choose from so they’re spoilt for choice. 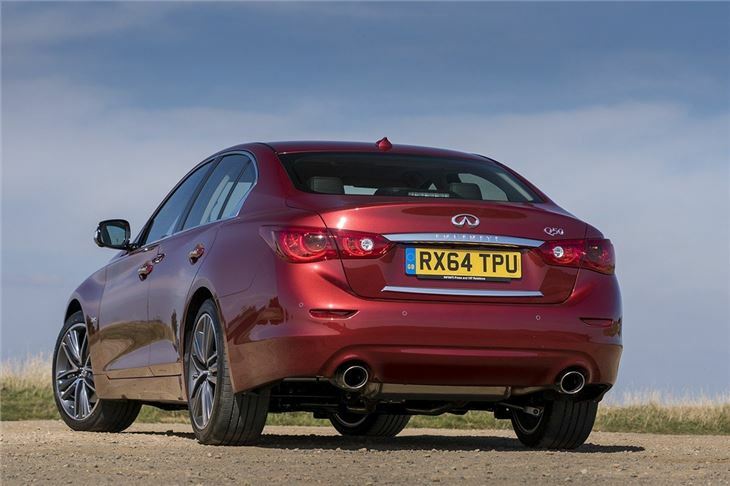 Infiniti isn’t giving up though – it has just introduced a new 2.0-litre petrol engine to the Q50 range, giving buyers an alternative to the BMW 328i and Audi A4 2.0 TFSI. 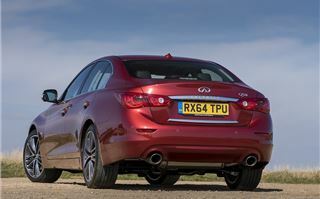 The 2.0T petrol slots in under the 2.2-litre diesel in the Q50 range, with a £145 lower price. 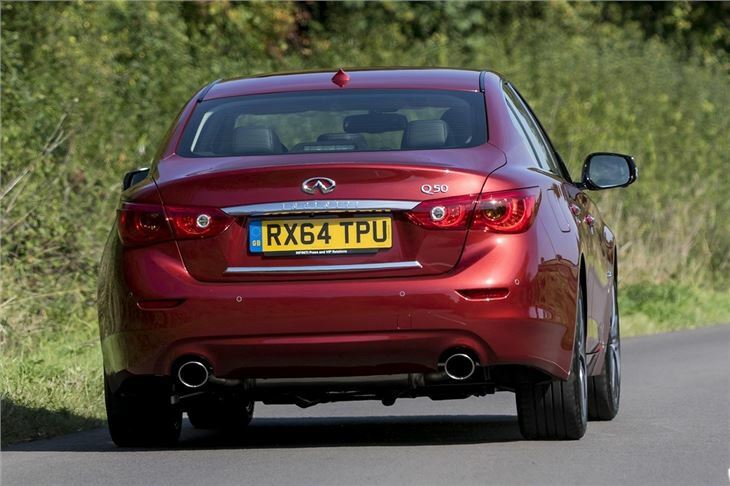 You can’t have a 2.0T in the entry trim grade, though – just in Premium or Sport, the latter of which is tested here. 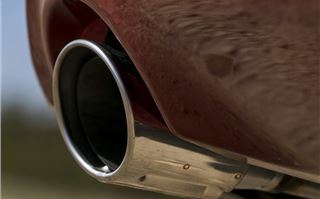 On paper figures are good – peak power is 211PS and 0-62mph takes 7.2 seconds, while emissions are similar to rivals at 151g/km with official economy of 43.5mpg. 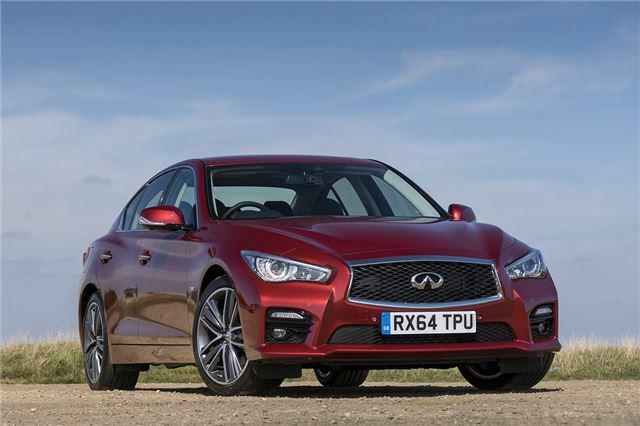 Perhaps the most important figure is torque – the Q50 2.0T produces a diesel-rivalling 350Nm and it is delivered nice and low in the rev range, from 1250rpm. 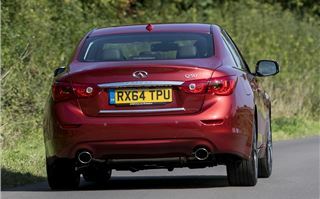 The power delivery is linear and strong, even at low revs, while acceleration is accompanied by a pleasing exhaust note. Settle down to a cruise and there’s next to no noise at all. 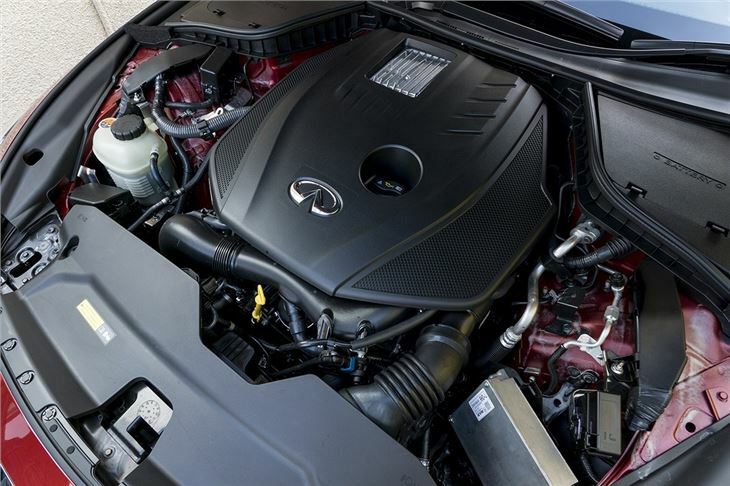 In fact, the pairing of the 2.0T petrol engine and its seven-speed automatic transmission (there is no manual) is truly impressive. It’s responsive and enjoyable when you want it to be, but subdued and silky smooth the rest of the time. It’s certainly the pick of the Q50 range, but unfortunately the rest of the package falls a little short. 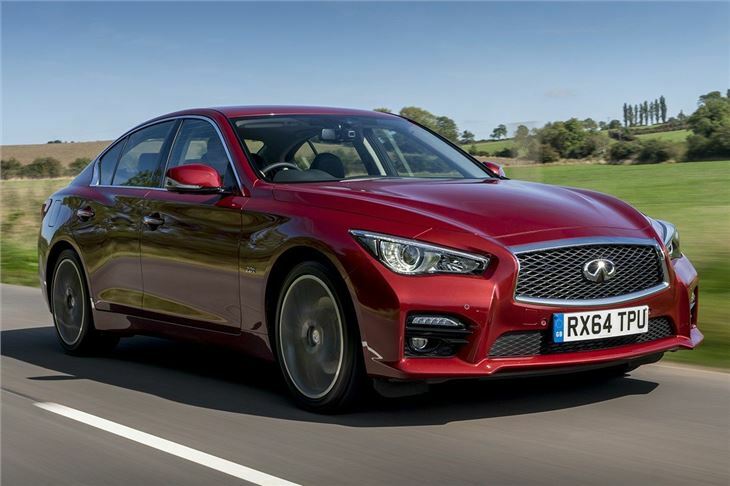 The suspension set up is good enough, bridging the gap between comfort and sportiness well, but the Q50 is not particularly rewarding to drive. That is partly down to the strange steering set up which uses a ‘fly-by-wire’ system instead of a typical power steering arrangement. In other words, there is no physical link between the steering wheel and the front wheels. Instead your steering movements are translated by a computer then outputted into the front wheels by motors. This means you can choose between various steering weights and even adjust the immediacy of the steering – but none of the settings is as confidence inspiring as a more traditional power steering arrangement - and there is no real feeling of feedback. The Q50 is weighty next to rivals like the BMW 3 Series and Mercedes-Benz C-Class – so it is far from lithe or agile. 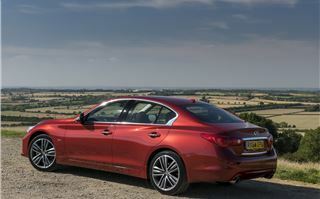 Of course, this doesn’t really matter in town or on the motorway, where the Q50 is a perfectly decent car to drive. 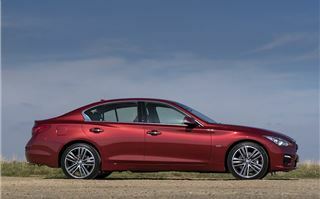 The Q50 does impress when it comes to optional technology. There's a £2080 Safety Shield pack, which adds a braking system that will gently slow the car down to a stop in traffic without any input from the driver – although it’s not really designed to do your work for you. It will also brake in an emergency. 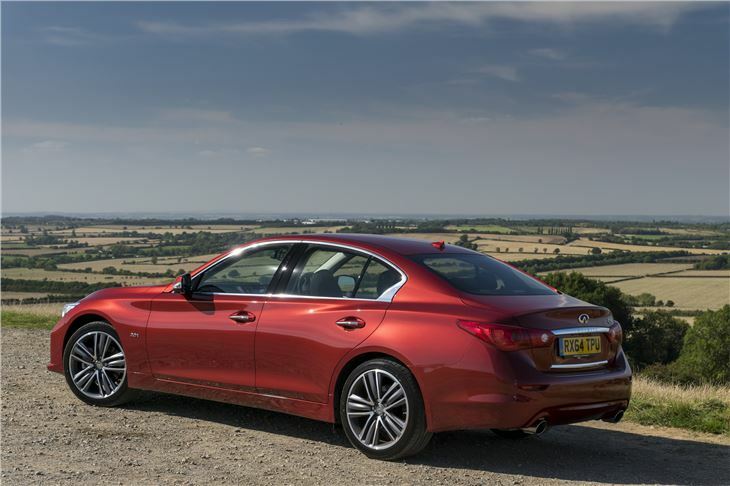 Other features include an around-view parking system that detects moving objects and pedestrians, along with blind spot monitoring, lane assist and adaptive cruise control. Unfortunately the high-tech gizmos don’t translate to a modern-looking cabin. 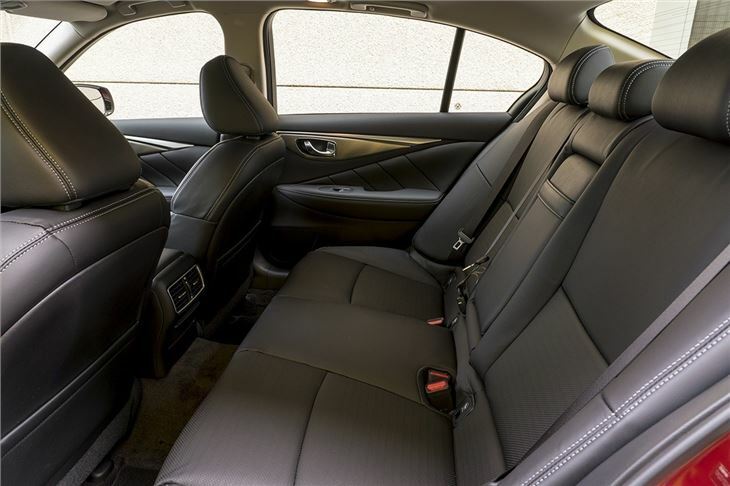 Inside, the Q50 feels solid and features some good quality materials, but the layout isn’t especially memorable or interesting. 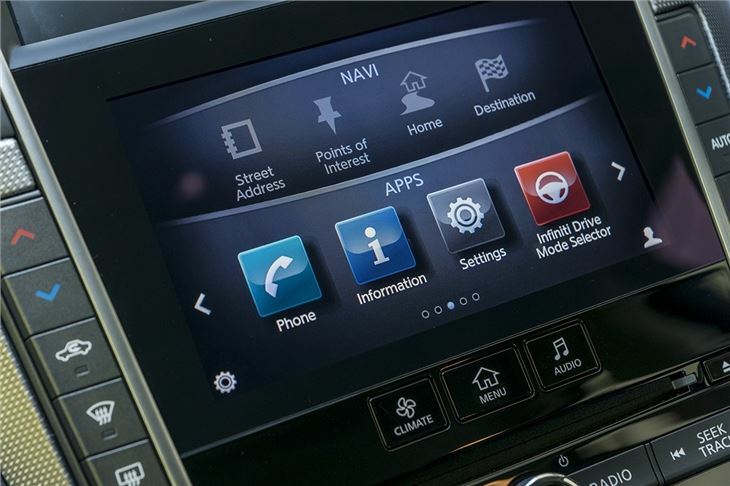 There is a split-level, two-screen infotainment system that works well enough, but it doesn't look especially modern or innovative. 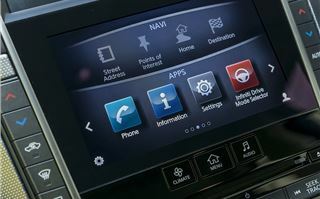 Plus it costs a hefty £2760 to get it with navigation – although for that price you do at least get an excellent Bose audio system. On the plus side, practicality is reasonably good. 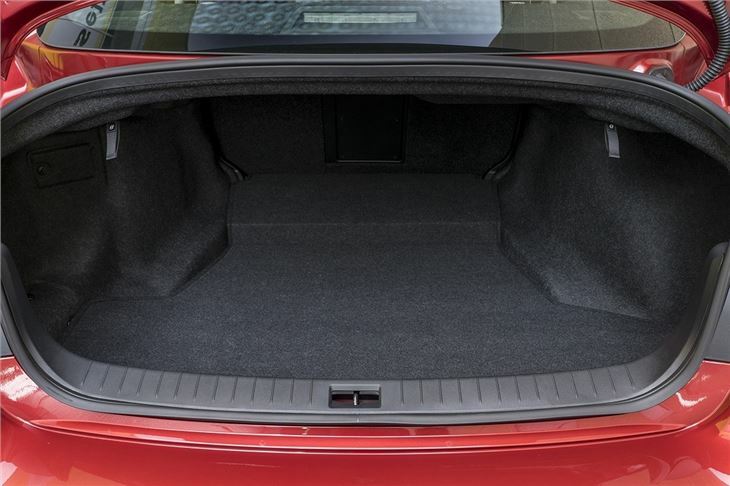 In the rear row there’s enough room for adults, but taller passengers will find their heads touch the roof. 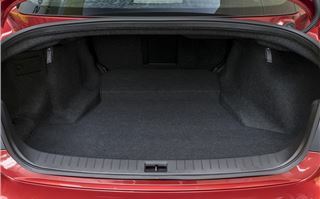 Boot space is a perfectly reasonable 500 litres and the rear seats fold forward to help with larger loads, plus there is a ski hatch. 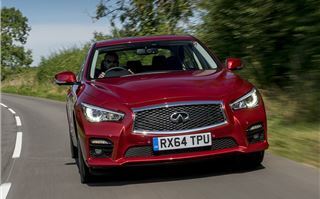 There is very little to make the Q50 stand apart from rival cars though. It’s slightly cheaper than a BMW 328i but that car has more power and better economy, plus it’s more fun to drive. If luxury is more of a priority than driving dynamics then the Mercedes-Benz C200 is a better choice, thanks to its superior refinement and comfort. 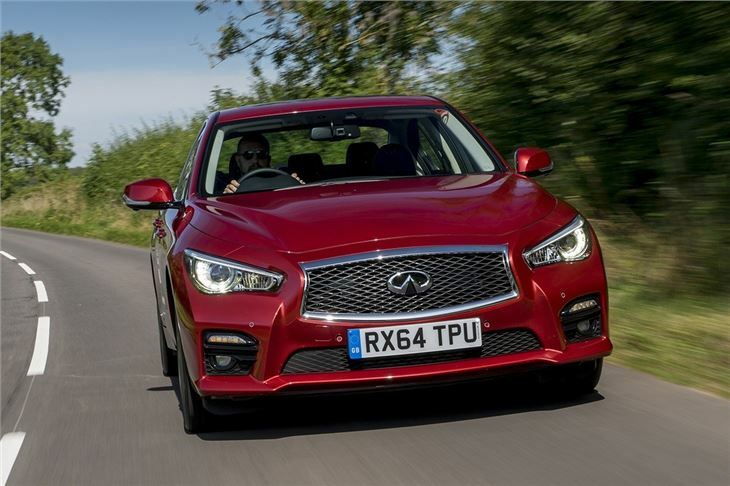 The Q50 2.0T does have its merits – it rides well and has some really clever technology, but the strangely artificial steering set up and drab interior do little to seduce a would-be buyer away from a German rival. 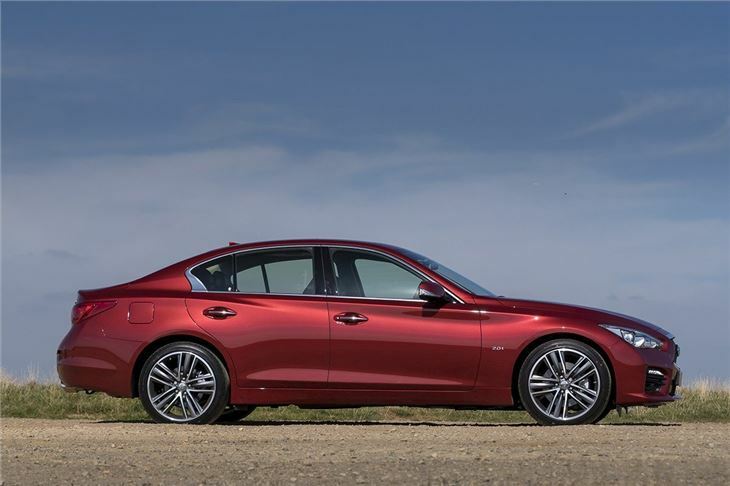 If your heart is set on an Infiniti then you won’t be disappointed, but for most buyers there are better choices out there.